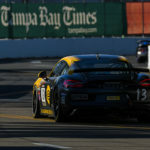 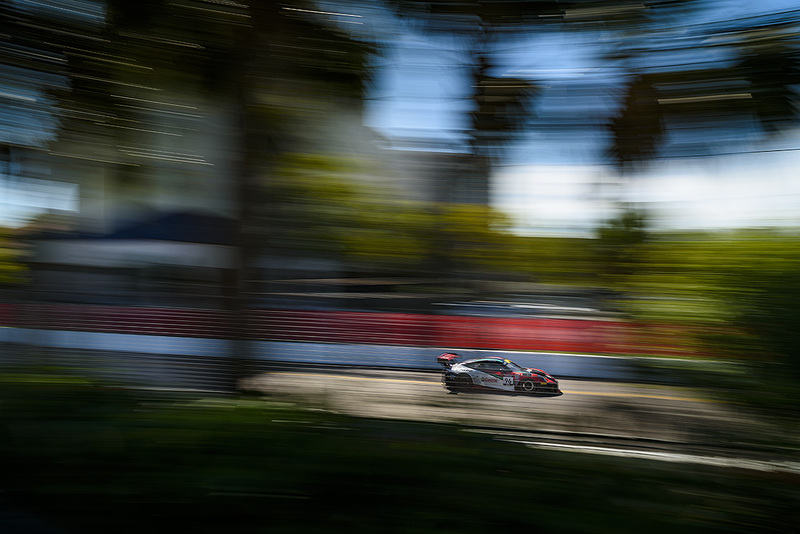 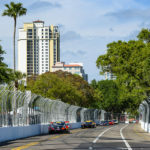 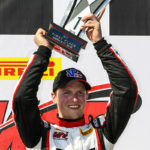 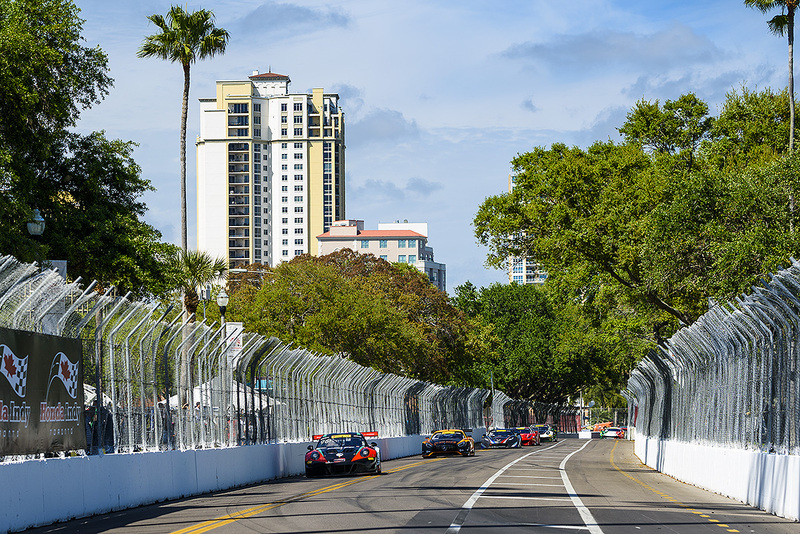 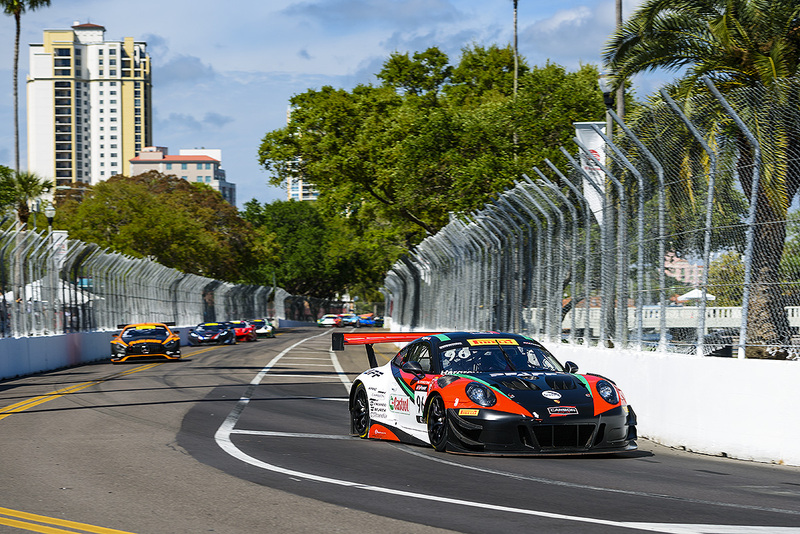 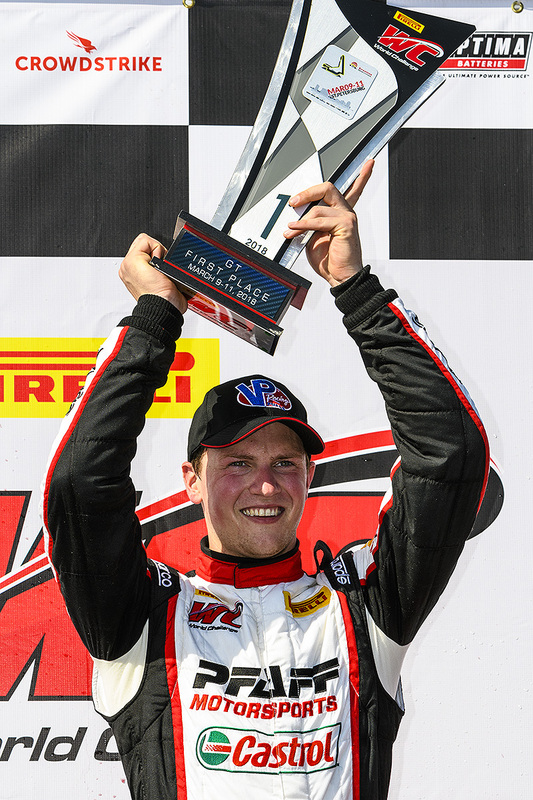 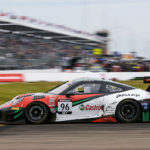 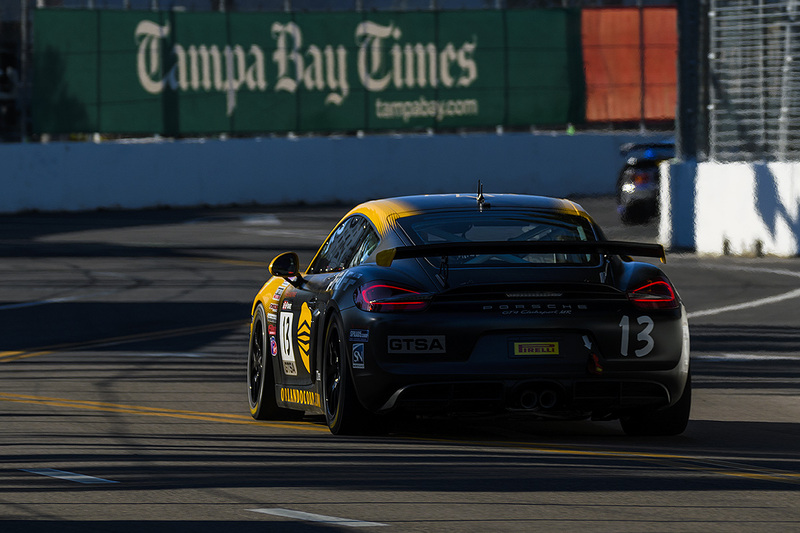 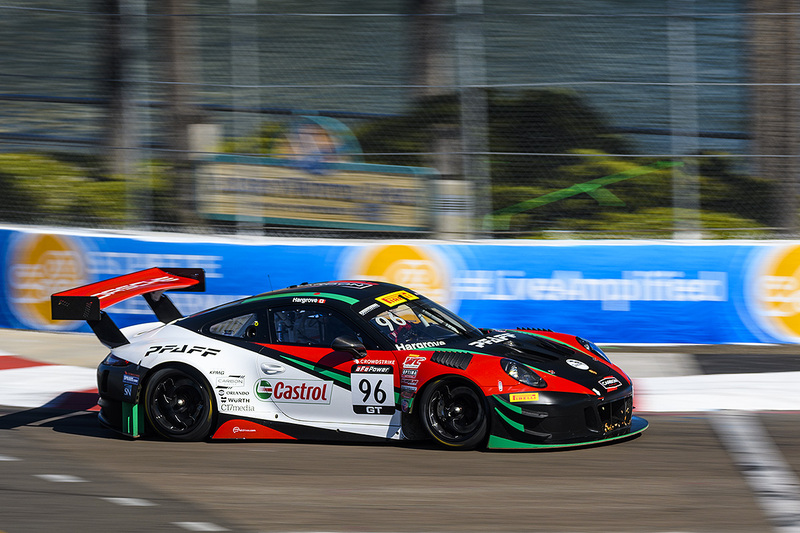 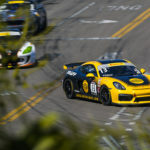 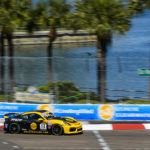 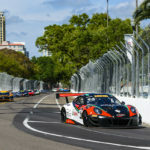 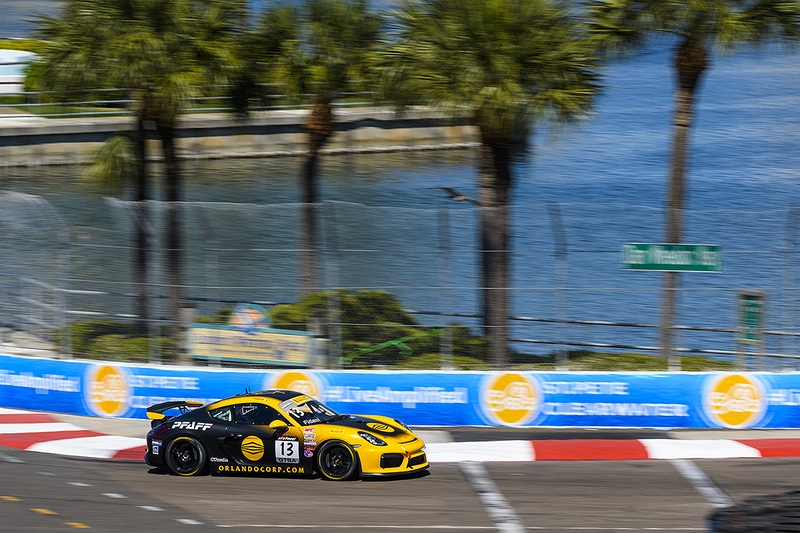 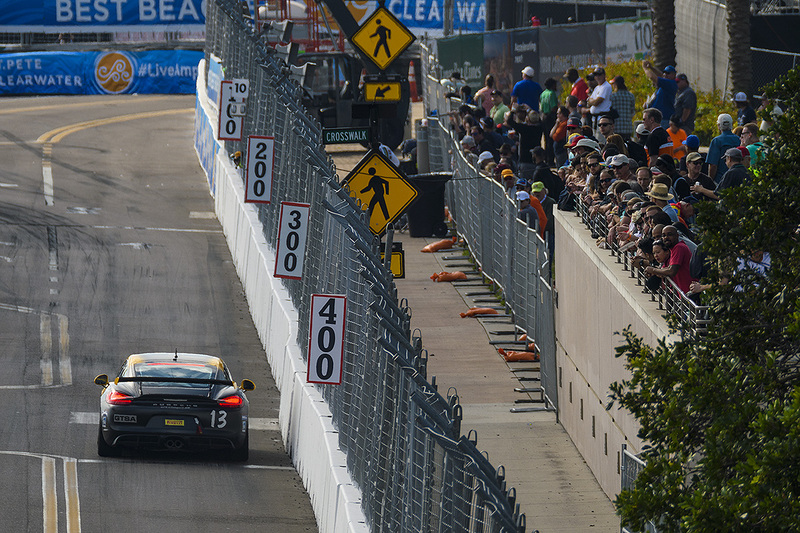 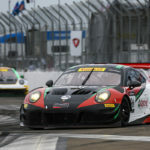 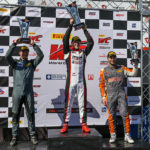 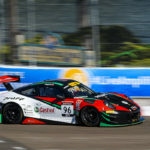 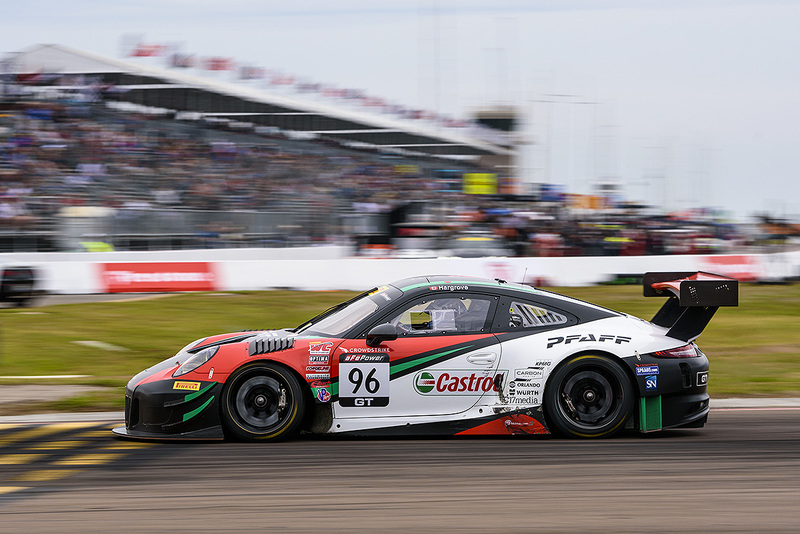 The Pfaff Motorsports Porsche 911 GT3 R piloted by Scott Hargrove scored two wins in two races in St. Petersburg, kicking off the team’s inaugural Pirelli World Challenge season in spectacular style. 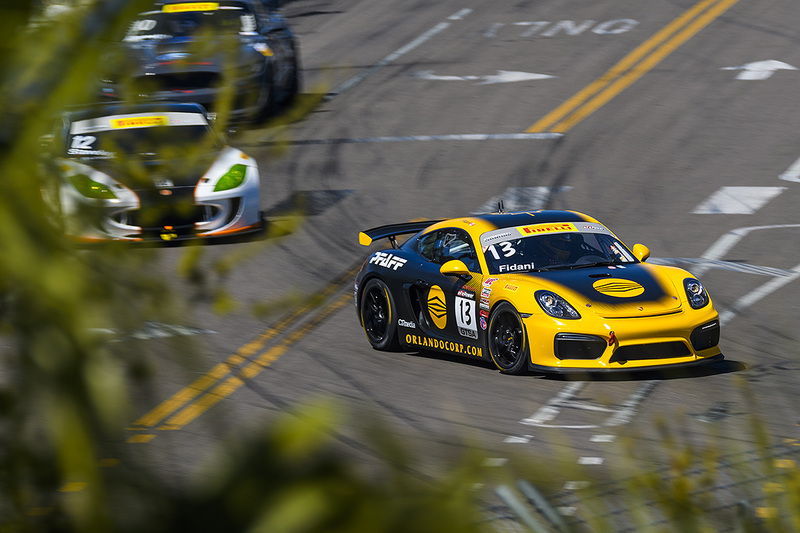 Orey Fidani, driving a Porsche Cayman GT4 Clubsport MR in the GTS-A class, also made a strong start in the series. 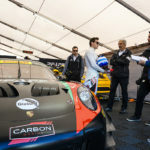 The team’s weekend did not get off to a good start, as Hargrove’s #96 911 GT3 R contacted the wall during qualifying on Saturday morning, meaning he had to start last in the 11-car GT field. 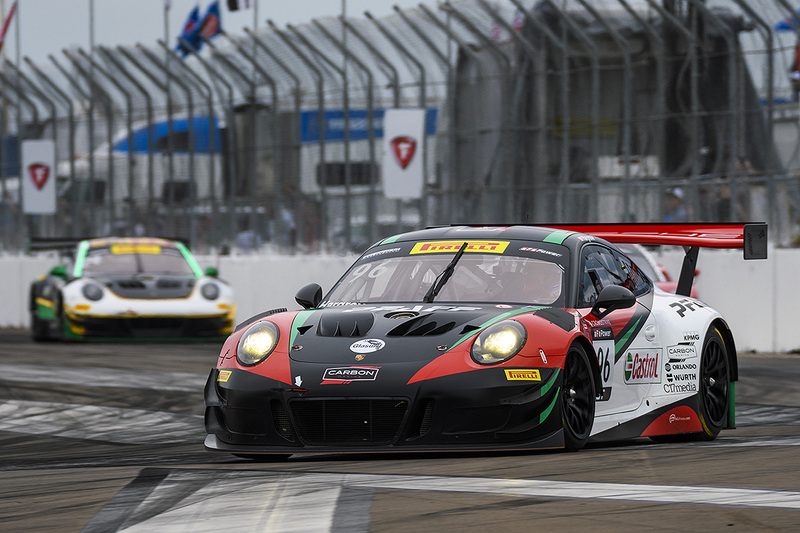 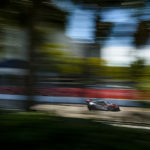 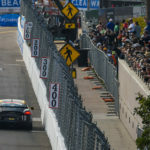 A wild start to Saturday’s race with multiple accidents led to a restart, where he moved up to second, and eventually passed fellow Canadian Daniel Morad on lap 18. 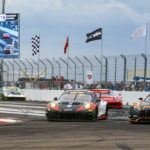 Hargrove then held off the challenge of Toni Vilander to secure the victory. 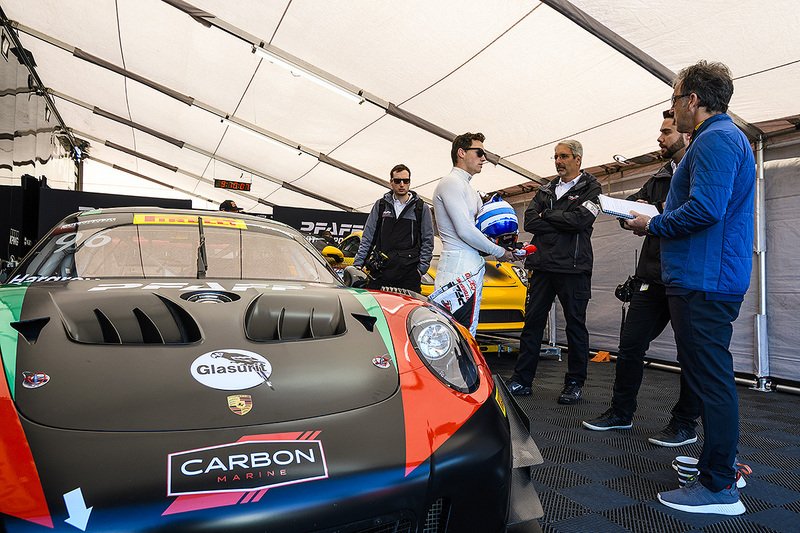 Orey Fidani, driving in the GTS-A class, finished eighth in class and 15th overall, a strong start to his season in his Cayman GT4 Clubsport. 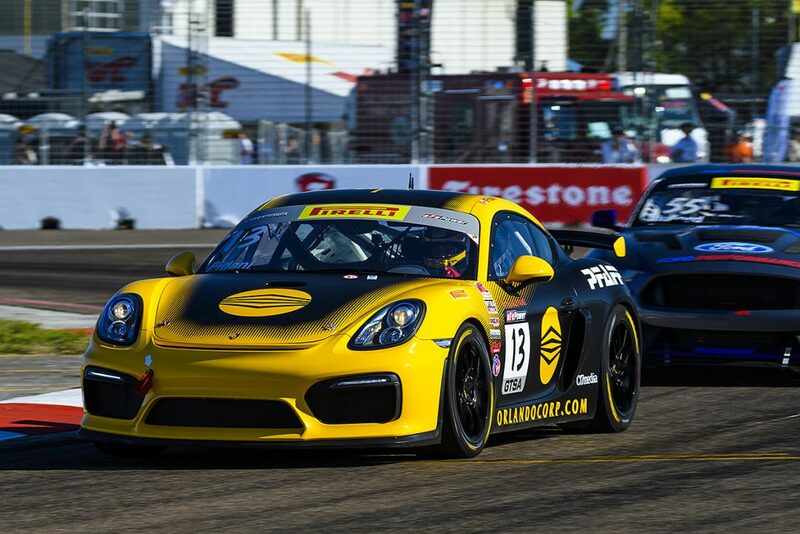 In Sunday’s race two, he finished 11th in class and 15th overall. 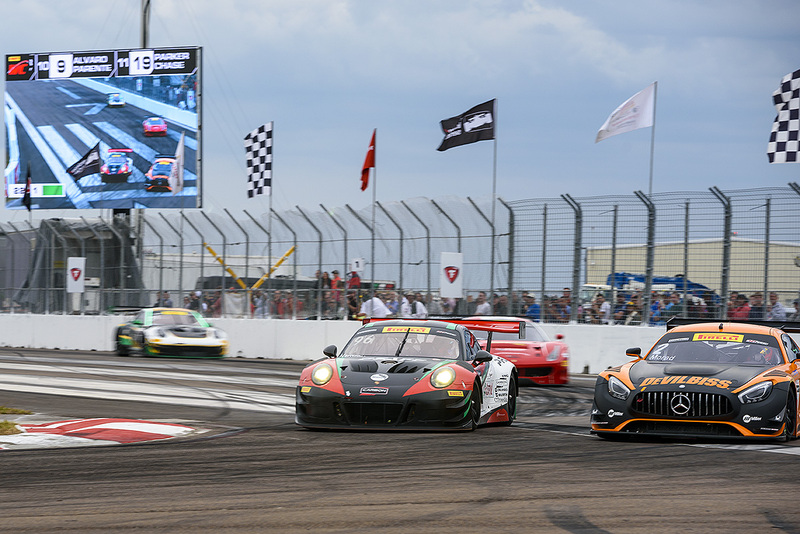 For race two, Hargrove started from pole in the GT class, holding off German Daniel Keilwitz in an incident-filled race which was red-flagged on lap 26. 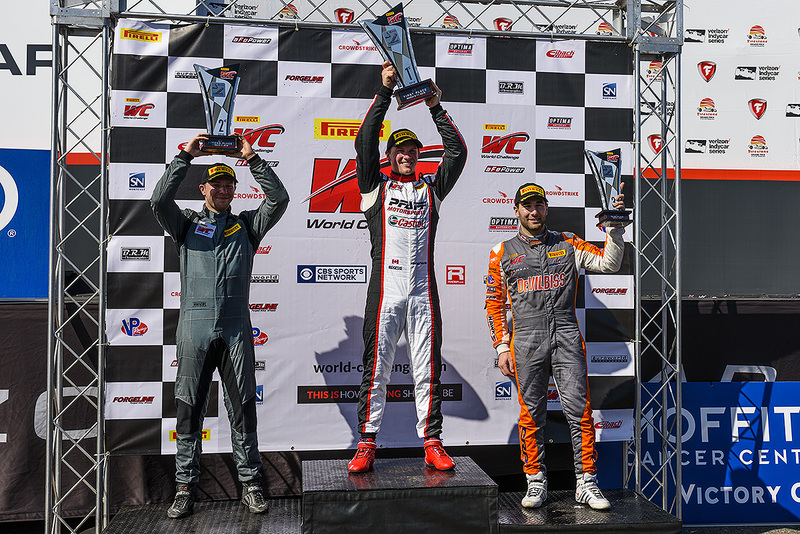 Canadian Daniel Morad finished third. The upcoming Pirelli World Challenge events will be held at Circuit of the Americas (COTA) on March 23-25 with the season opening races for the GT SprintX, GTS SprintX and Touring Car classes including the all-new TCR division. 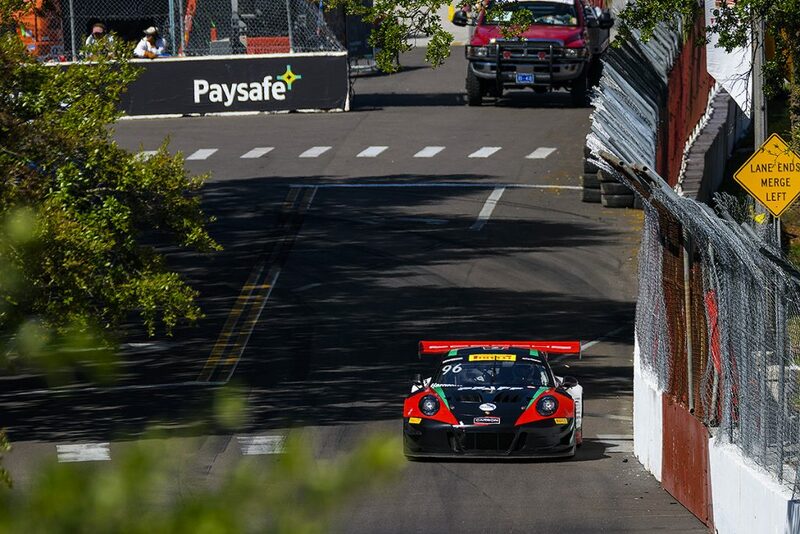 For the latest updates, news and behind the scenes content, follow @PfaffMotorsports and @PfaffAuto on Instagram.